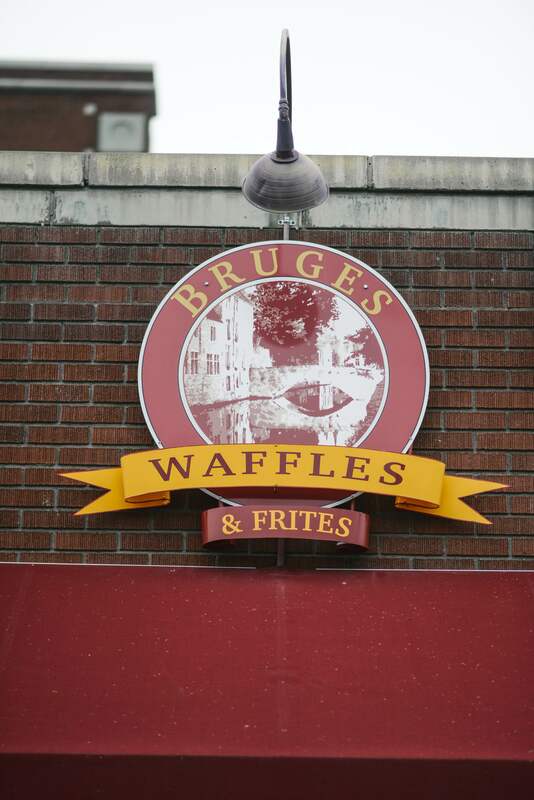 The owner of Bruges Waffles and Frites was born and raised in Brugge (Bruges), Belgium. 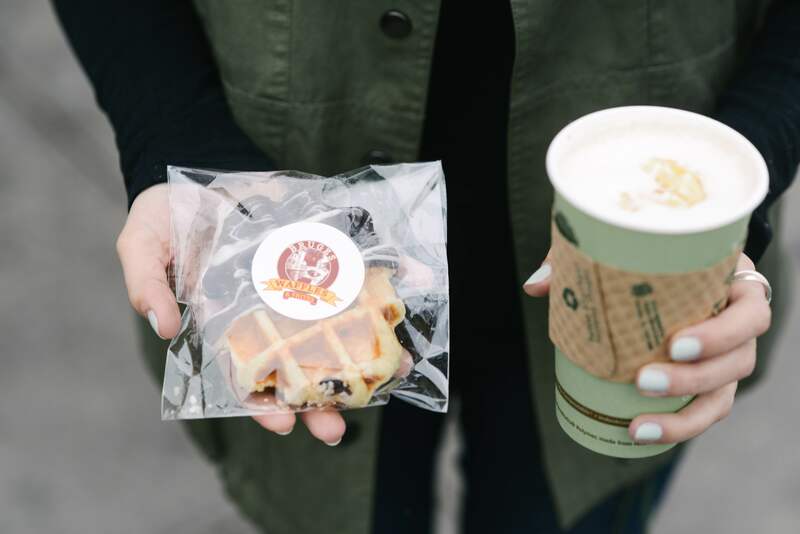 In March 2004, after living in Salt Lake City for 10 years, they adapted an old family recipe for the traditional liege waffle and started a waffle business selling waffles on Main Street in Salt Lake City from a vending cart! (How fun!) The same year they operated the cart at the Downtown Salt Lake City Farmers Market and some local summer events. It didn’t take long for Utah to jump on board! Soon after, they opened a year-round “hole in the wall” storefront. I took a trip to that exact charming little hole in the wall for this month’s sweet stop! 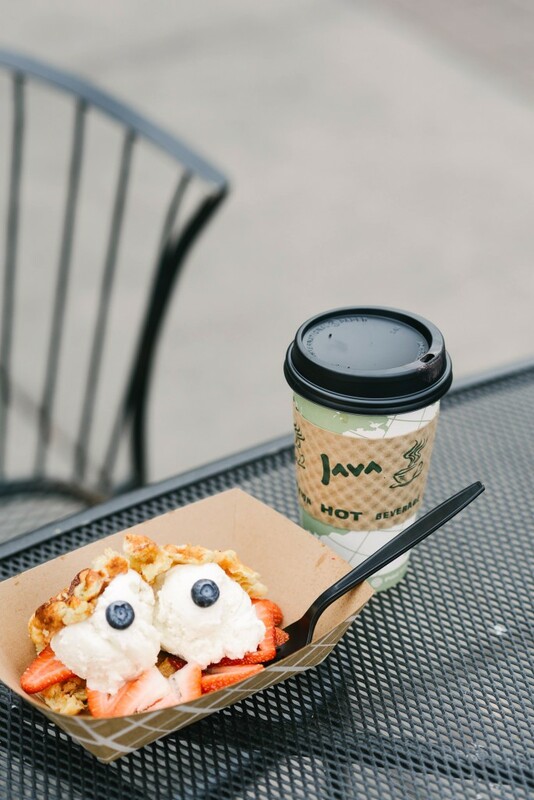 It has a tiny little interior, a cute little sidewalk patio outside with seating, and also a rooftop patio that you can chill out on during the Summer months. But let’s be honest, I came for the waffles! After lots of going back and forth, I finally settled on the Monster Waffle, a liege waffle stuffed with crunchy speculoos spread (cookie butter basically! 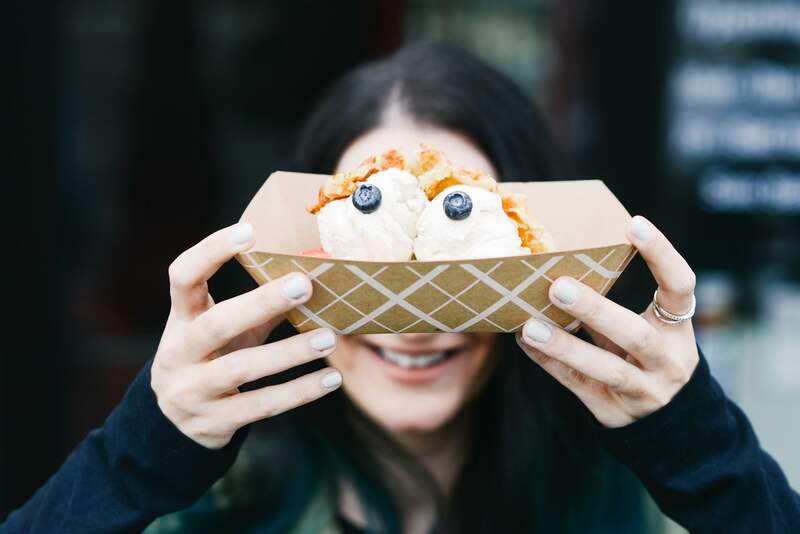 ), two scoops of vanilla bean ice cream, strawberries, and of course, two blueberries for eyes. 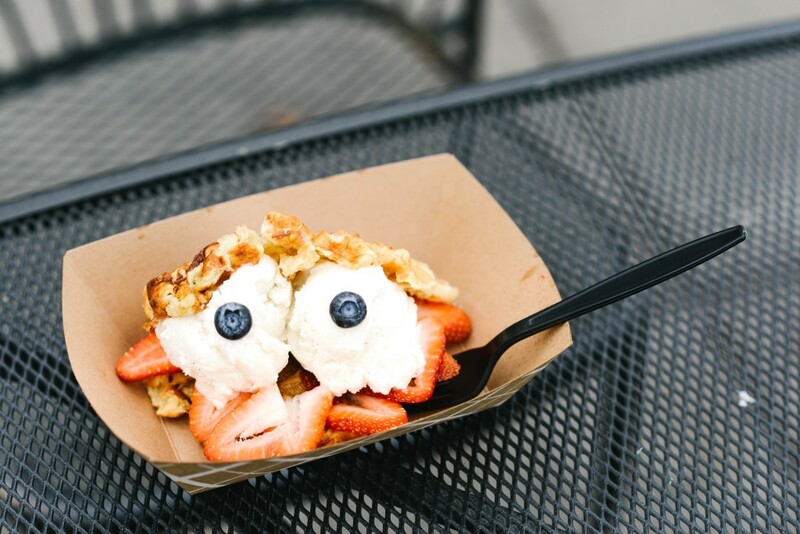 I think I was drawn into the cute presentation of the waffle, and who can resist ice cream on a waffle?! Not me! 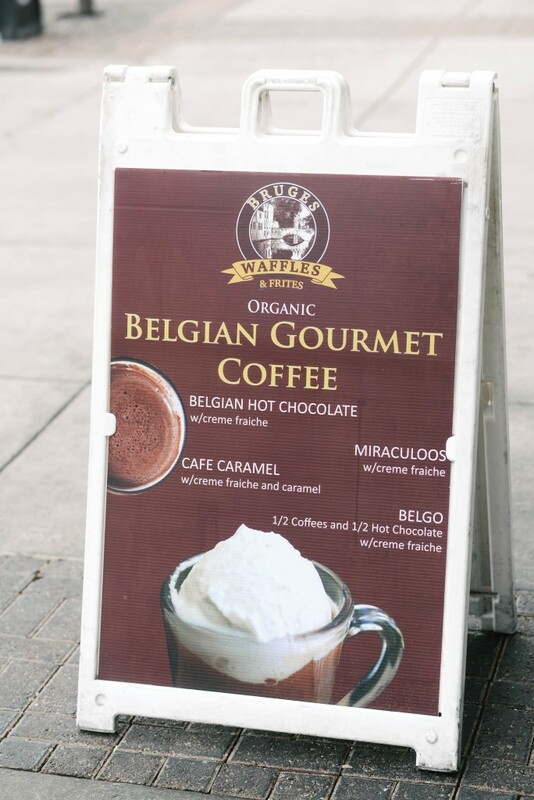 I also got a Cafe Caramel coffee with fresh creme fraiche and caramel melted on top. 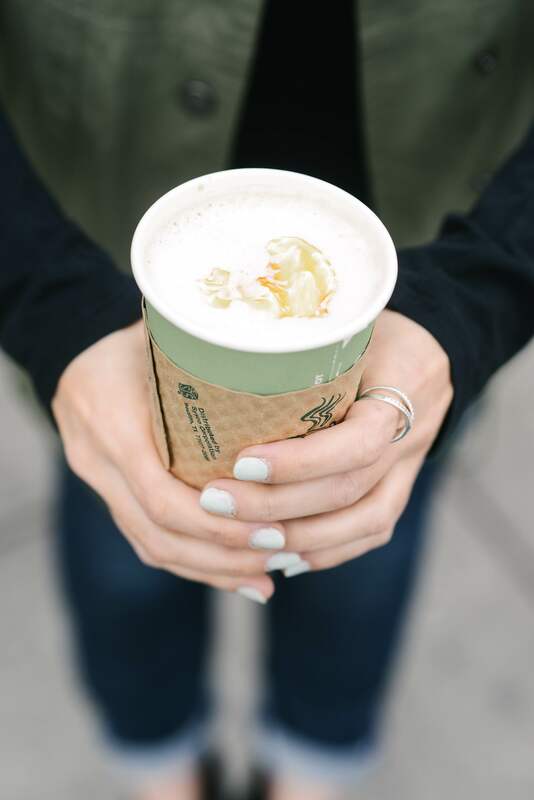 Sweets might be at the top of my list, but coffee is definitely a runner up! And if they are combined…I’m in heaven! And I couldn’t go to Bruges without ordering some frites either! A little salt makes the sweet that much better, right? 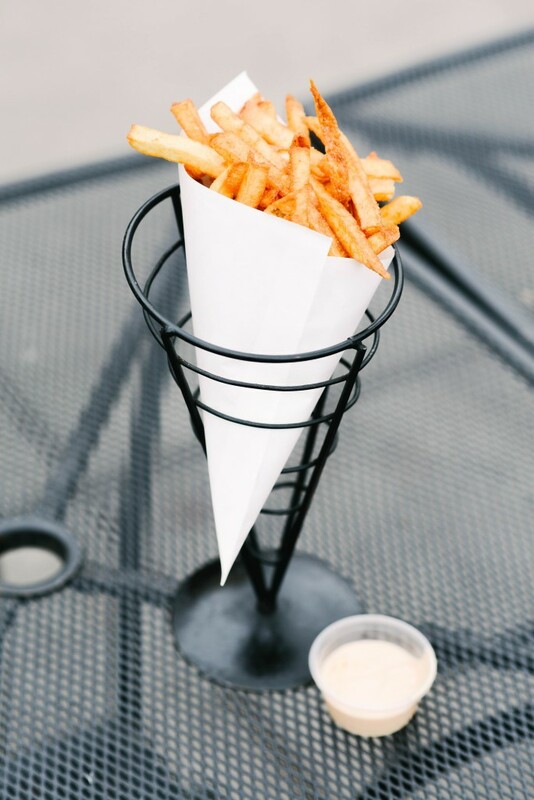 The frites come in either a small, medium, or large size (the large size can definitely feed a few people!) 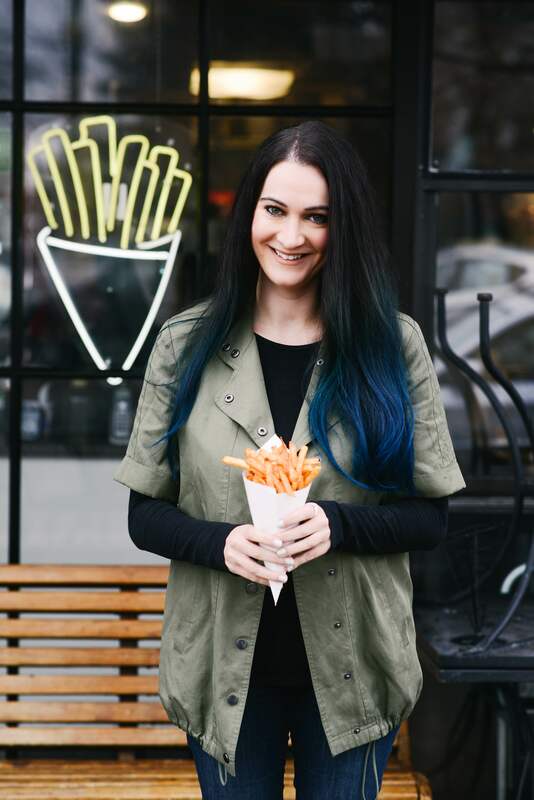 and you have the choice to pick from one-three different sauces depending on the frite size you pick. With sauce options like mayonnaise, aioli, greens, lemon pepper dill, zensation, brasil, fry sauce, curry, zango, andalouse, samurai, and afterburner, it can be hard to pick just a few! I stuck with the traditional Utah dip of choice, Fry Sauce, which, if you haven’t heard of before, is an amazing combination of mayo and ketchup. Sounds totally weird but it’s beyond good. 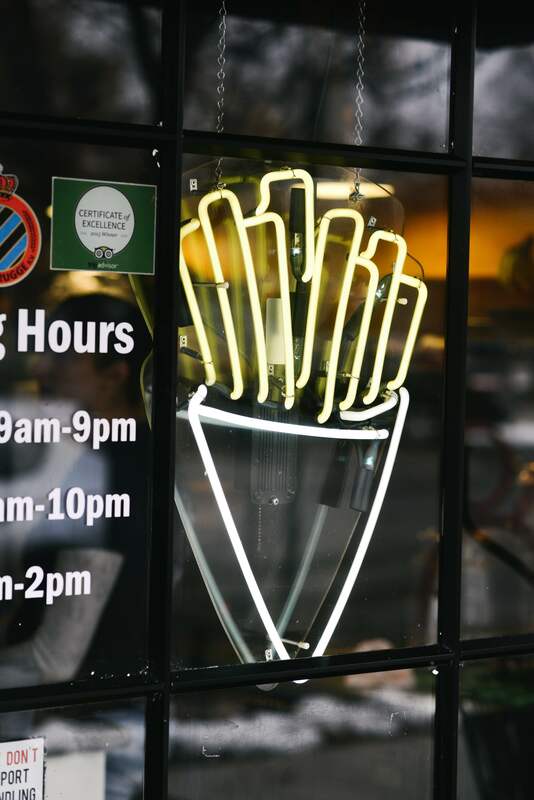 Bruges also has an awesome variety of savory choices too, like the Rickey burger or the Machine Gun sandwich, which I heard is out of this world good and was featured on tv show Man vs. Food. I’ll have to make another trip back to get lunch next time! If you’re local to Salt Lake City and are planning a party or get-together, Bruges also has a Waffle Bus available for catering too! Such a cute and fun idea for catering! And they even do weddings! 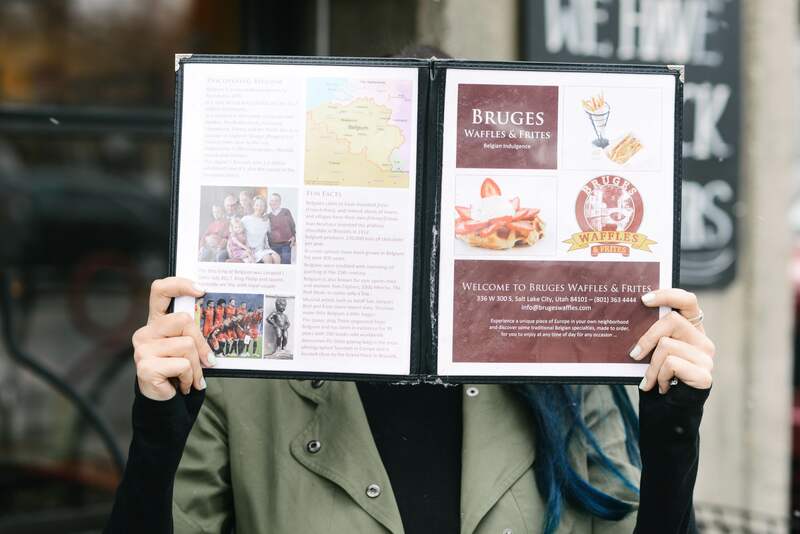 All in all, Bruges Waffles and Frites is a must stop for the sweet or salty lover in your life. 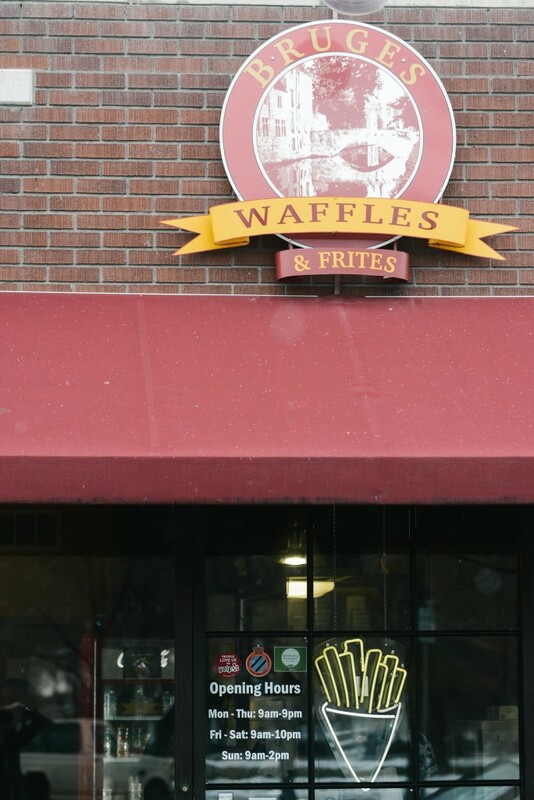 If you’re hungry, get both the waffles and the frites, I would highly recommend them!